Jamming is a song by Bob Marley & The Wailers in the Reggae genre. It was released in 1977 by the Tuff Gong Island label. The artist's official site can be found at www.bobmarley.com. What an amazing beat. 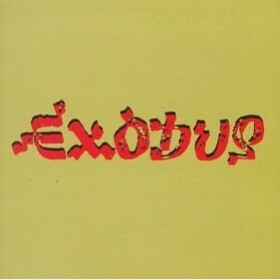 The song initially appeared on the Exodus album by Bob Marley and the Wailers. This album is fantastic and this song is one of my all-time favorite reggae songs. Bob Marley was a legendary artist, and an excellent songwriter, and this is just one of his many hits. This song has a nice smooth flow to it - awesome drums and very nice background vocals. The awesome chorus, "Jamming", is just so sweet. Definitely recommend to anyone out there who is a fan of reggae music, Bob Marley, or just wants something to listen to with a nice soothing beat.